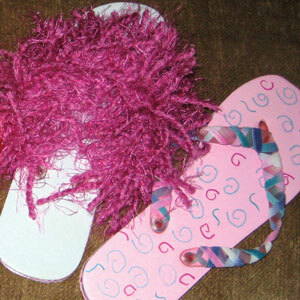 We bring the flip flops and all the accessories and you design your own flip flops. 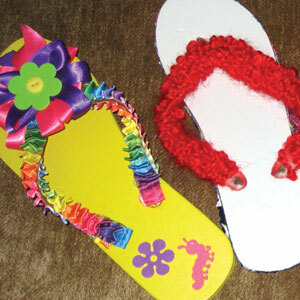 A large variety of ribbons, beads, sequins, and decorative items are supplied along with the flip flops and you can walk away with an original creation. Great for beach or luau themed events! Five tables, one chair, waste basket, bottled water. Want to talk with us about Custom Flip Flops?